5 Super-Easy Beauty Lessons From Fashion WeekTips and tricks we learned backstage. How to Get Full Hair and Mega BrowsAnd three more easy New York Fashion Week beauty lessons. Try This Trick for Bigger-Looking EyesDior’s fall 2018 show tried it out with colorful liner. This Red Lip Is a ShowstopperBrandon Maxwell shows you how to make your lipstick even better. Banana Clips Are Cool AgainAlexander Wang brings back a ’90s favorite for a modern take on CEO beauty. How to Make Your Highlighter Look Totally NaturalAnd four other beauty tricks from Paris Fashion Week. Why Your Eyeliner Needs to Catch on Fire, and Backstage Beauty Lessons From DiorIf your eyeliner pencil is at room temperature, you could be doing it better. Dior shows you why. The Marc Jacobs Show Is Proof There Are Dozens of Ways to Wear Black EyelinerAll you need is black. The Lipstick Rule and 4 Other Beauty Tricks From Fashion WeekHow to get richer lip color, bigger-looking eyes, and more. 5 Easy Beauty Tricks From New York Fashion WeekFrom goat-milk products to a new take on eyeliner. How to Get Wash-Out Holographic Hair ColorAnd four other beauty lessons from Paris Fashion Week. 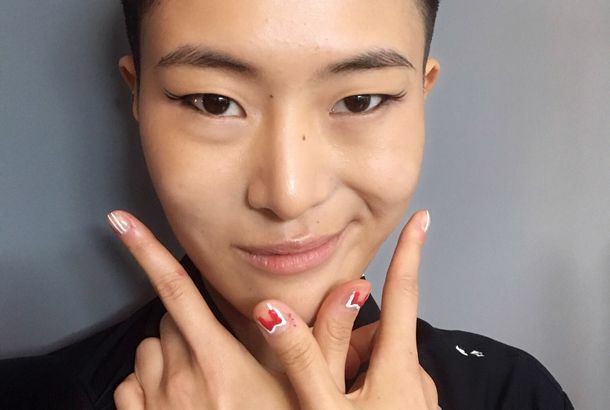 Three Backstage Beauty Lessons from Dior’s ‘No-Makeup Makeup’ ShowThere wasn’t even a curling iron. The Best Accessory Is a … Bowl Cut?Pull out a bowl. For your hair, that is. 5 Beauty Secrets From Backstage at Paris Fashion WeekThe professionals show us how to get the prettiest red lip, the shiniest hair, and more. What Does Girl-Power Makeup Look Like?Dior’s first female creative director has a simple interpretation. Fashion Week Accidentally Created Lisa Frank NailsWish I had these for my first day of school. What Really Happens Backstage at the ShowsRunway beauty used to be pretty low-key. Now it’s one of the main events. This Designer Took the Snapchat Flower Crown Filter a Little Too FarThat’s so ranunculus. Feminist Eyeliner Was an Actual Fashion Week TrendFive eyeliner tips from backstage. How to Look Like You’re Sweating Glitter and 4 Other Backstage Beauty LessonsNo exercise required. Is This the Grossest Fashion Week Beauty Look Ever?Use the dirty part of your mind to understand the inspiration for the beauty look. Your Sunburn and Fried Hair Are Cool Now, Thanks to Alexander WangSkip the aloe. 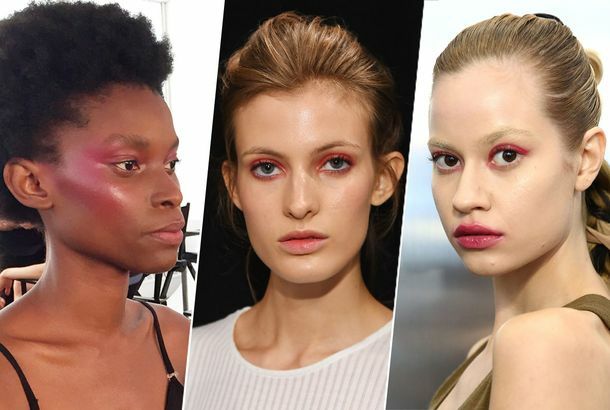 ‘Pink Eye’ Beauty Is Trending at Fashion WeekVisine was so last year. You’re Going to Want This Electric-Orange Velvet Lip on Your FaceProbably not for FLOTUS, though. How to Wear Glitter Like a ModelBackstage beauty lessons from Fashion Month. Pat McGrath’s Advice for False EyelashesAnd four other backstage beauty lessons from the week. 5 Actually Useful Beauty Lessons From Fashion WeekHow to do an easy, non-boring ponytail and more. Victoria’s Secret Wants You to Look Naturally PerfectWith a little bit of shimmer. Hot New Beauty Trend: Your Own Damn Hair. Individualism is in, worldwide. 5 Beauty Lessons From Paris Fashion WeekLuxurious hair, sweaty faces, glitter eyes, and more. John Galliano Doesn’t Do Instagram EyebrowsPut down the brow pencil. Phoebe Philo Does Not Believe in Hair ExtensionsAbout the strong beauty look from Sunday’s show. A Lesson in Beauty Grammar at DiorWhat “past future perfect” means in terms of hair and makeup. Margiela Did Crazy Beauty, AgainGlam rock meets geisha meets nestlike hair. Marc Jacobs’s Grungy Take on Red-Carpet GlamourThe new grunge. Designers Are Finally Okay With You Being YourselfIs there a lipstick for that?